We are excited to present a FREE BBQ on Sunday night, July 6th, from 6:00 p.m. to 8:00 p.m. at the Levine Center. There will be a moon bounce, movie on the big screen, and hot dogs for children ... AND plenty of BBQ and ribs for the adults. This is a great opportunity to meet people and invite friends to Ridge. Bring your lawn chairs! 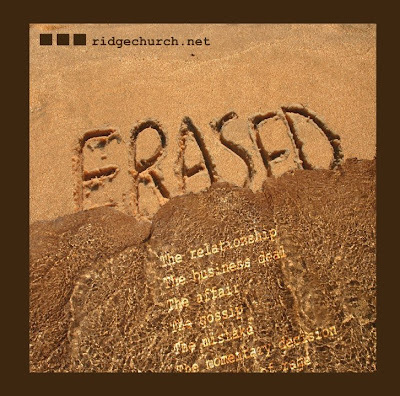 We begin "Erased" this weekend at Ridge. I am really excited and anticipate great things over this next month. I know this series is addressing such a huge need for a lot of people. We all have "voices" from our past--things done or not done-- that accuse and condemn us---and often times we can't seem to get beyond them. Freedom is possible! Come find out how. I'm really stoked about our summer plans at Ridge Church and will continue to post about "Up-coming Events" throughout the summer. This weekend we begin a theme called "Erased" that will carry us through the end of June and all of July! This will be a stellar month! Truth told we all have actions, words spoken, relationships, or situations that we wish we could erase from our past. Many of those "events" are shaping the way we respond to God and others. I'm convinced that if you and I could ever see our past--maybe recent [failures] as God sees them that it would radically alter the way we live here and now. Jesus offers something to humanity that no one else has or can offer. Come check out Erased, June 22--6 PM at the Levine Senior Center in Matthews. It will be a liberating night! June 22--Erased Part 1: "Judge me not"
July 13--Erased Part 2: "What Now?" I've be en thinking a lot about the economy lately. Typically downward shifts in the economy quickly affect giving to non-profits and we like thousands of churches have felt the full force of that--But these are temporal things. Important but temporal. In the midst of the financial downswing interestingly that hasn't been the thought dominating my mind as much as the "blessed nature" of our lives in this city, located in this great nation. Sure we have our [problems], but clean water, going to bed hungry, etc aren't among those so called [problems]. We [here in Charlotte] worry about 401k's, saving accounts, the market value of our homes, moving up in the company, trading in the car for newer one with less mileage, and preparing for retirement. For most people in our world retirement is equivalent to death. I'm not judging--I'm just saying that our problems aren't as big as we sometimes think. I moved to Charlotte back in 1998 and honestly thought it would just be a stopping point along the journey of our lives. Within that first year God drove this passion into my heart for this incredible city. I can't explain it and won't ignore it---I'm compelled by the passion God has placed in my heart for this city. One small part of that passion is to be a "prophetic" voice of challenge in this incredible city for us to leverage our wealth and resources for the sake of others that need to hear about and experience the love of Jesus. (This will explain the random pictures) I feel so blessed to be able to enjoy an all American day every once in awhile. God has allowed us all to experience some unique blessings. I just want us to remember that these blessings should come with a comma not a period. We need to be a blessing to others. My all amercian day started with chocolate chip waffles (with strawberries)--Did you hear donkey's voice from Shrek j ust now? Then off to the pool with Brayden while Angie and the girls went to a "little mermaid/ballet party. Brayden revolted and ended up with a pool option--I gladly volunteered. 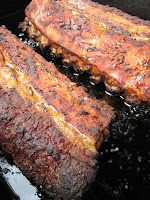 Then I cooked ribs on the grill for lunch---quesadilla for Brayden--cheese only (he is really picky). Then we finished with a $20 family pass to a baseball game. It included hot dogs, nachos and cheese....and YES a funnel cake! There was a fireworks show after the game. 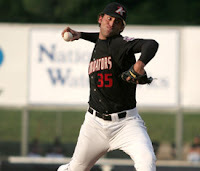 Granted it was the "Kannapolis Intimidators" but it was still pretty sweet. Why do you care what about my ALL AMERICAN day? Well maybe you don't, but I hope that for at least a moment every day, maybe as you read this that you will recognize that we are all blessed and I hope we will all ask ourselves to whom do I need to forward this blessing? Andy brings the heat! AGAIN! I love Ridge C hurch. I have spent some time reflecting and digging into my calling and passions in the last few weeks, and I couldn't be more excited and passionate about what God is up to in Charlotte and the role Ridge Church has the privilege of playing in that story. What a privilege and enormous responsibilty it is to lead this church! One that I don't take lightly. 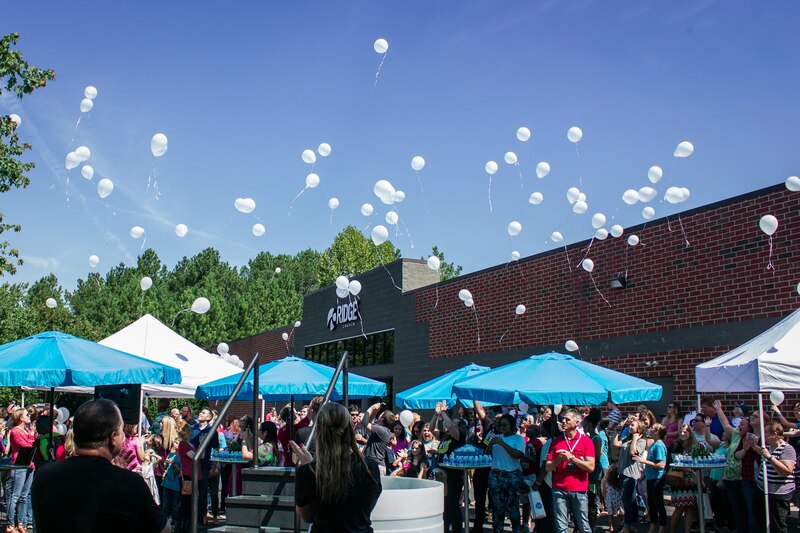 We also have the cool privilege of being in a partnership with North Point Community Church, founded by Andy Stanley. In my humble opinion he is the most gifted communicator o f our generation. He is also an incredible writer. He has written countless books and many of them have been shaping forces in the lives of some of my generations' strongest and most influential leaders. 1. "We [the church and Christians] can be so cautious that we are behind; so careful that we become irrelevant..."
2. 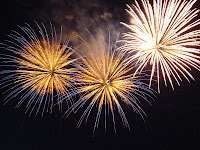 "We must decide what is more important creating a great organization or a great name for ourselves. To create a great organization we must SERVE. To create a great name for ourselves we simply continue to be SERVED." 3. "The local church rarely gets serious about change until they run out of money...we are pre-occupied with paying bills not reaching the un-churched. As long as money is coming in and bills are being paid, churches rarely get desperate enough to make changes that they need to make." One last thought. 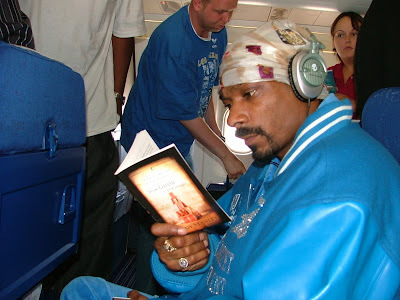 If "Snoop Dogg" reads Andy's books you should too! Seth Godin may be a familiar name to some of you and register nothing for others. Seth is a bit of a celebrity among the blogging community. He always registers high on Technorati and makes an over-all great contribution to the blogging world. I have heard excerpts and interview of him talking about his book "The Dip" and have it on my 'to read' list. Pretty insightful stuff. "The motivation for who I am came as I stopped trying to make a living and started trying to make a difference. In any field, the more generous you can be...the greater your motivation to share...the more it comes back to you." I think he is on to something or rather "uncovered" something, a God principle, much like what Jesus taught to his followers (us). Generosity breaks the back of greed every time. Generosity paves the way to satisfaction in what you have and keeps you from gazing endlessly at what you lack. Generosity breeds gratefulness. Generosity is a powerful thing both for the giver and the recipient! Over the weekend Ridge Church finished up our four part series on parenting called "Parental Guidance Required." Really great series. The last part of the series was about this biblical truth:"He who walks with the wise grows wise but the companion of fools suffers harm." You can catch up online if you missed it. Simple but great leadership thought from Marcus Buckingham's "The One Thing You Need to Know." If someone asked you what is the opposite of a leader, I bet you'd say a follower. Seems like the logical answer. But I like what Marcus says. "Properly defined, the opposite of a leader isn't a follower. The opposite of a leader is a pessimist." He also says that, "What defines a leader is his preocupation with the future. In his head he carries a vivid image of what the future could be, and that image drives him on." I think optimism is a key quality we all see in the leaders we most want to follow. And they seem to be able to rally this optimism in times when others only see the half empty glass, the obatacle, the struggle. Pretty interesting thought from Mr. Buckingham! I've been on a blog break for awhile. The demands of my schedule kind of took over. I am trying to get back in rhythm a bit in the next few weeks. So yesterday one of my daughters gave me a picture that she had drawn. No clue what it was but that's not the point is it? This was the caption: "You rnd (earned) it. BFF." Tonight she told me that she really meant it--I really was her BFF (Best Friend Forever--of course). Her sister piped up and said "Your the best Daddy ever." To which I respond every time"The best one you've ever had?" And every time she laughs and says "Yes daddy, you're the only one I've had". Simple stuff but I love it. One room away I tucked Brayden in for bed and we had one of our coolest talks y et. Believe it or not some random exerpt from the news was the spring board for this incredible conversation about God, the Bible and baptism. My son told me that he wants to be baptized which will be one of the coolest days of my life. No prayer has dominated my "air time" with God like prayers that my children would spend their days knowing Jesus, loving him, and passionately and persistently helping others to know him. Nothing matters more! I've been both challenged and encouraged yet again in this incredible series at Ridge Church called "Parental Guidance Requried" Go here to listen. If you are a parent you need to listen to the one's you've missed and rearrange your schedule to be there this Sunday night (June 8). Trust me this should trump going to the pool or whatever else you might have planned! 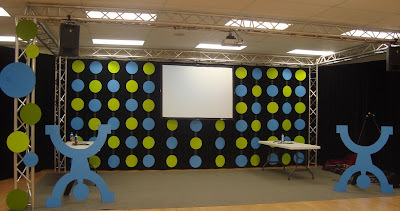 Last note for now---the upstreet team is doing some unbelievable stuff for the summer called "Flipt". Your kids will love it. If you think the environment is cool you wouldn't even believe what they do in the environment. Among other things I know they had a pancake flipping contest last week. My kids came home excited and talking about it. Tonight my son told me "Dad, when you live life the way God wants you too it gets "Flipt." Not bad!